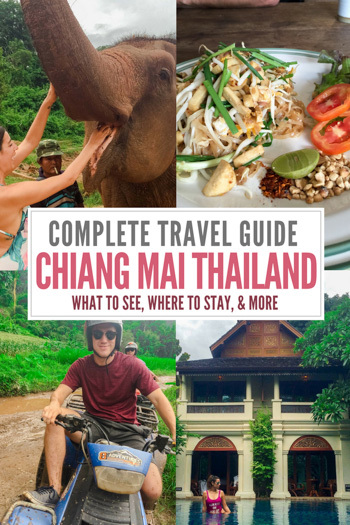 Are you looking for a great guide on where to stay in Chiang Mai or the best things to do while in Chiang Mai? I've got you covered. 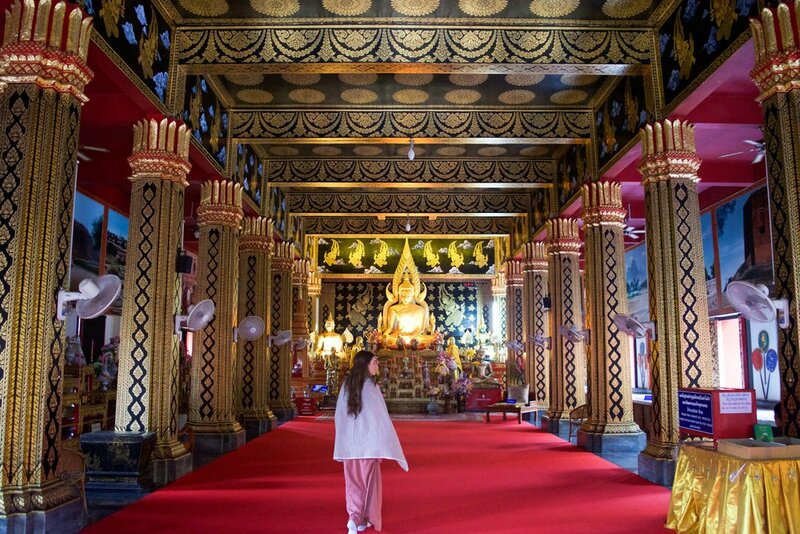 Here are the best things to do in Chiang Mai including where to eat, sleep, shop and explore. Plus, how to get to Chiang Mai, when the best time of year to travel to Chiang Mai is, and so much more. Founded in 1296, it was capital of the independent Lanna Kingdom until 1558. It’s home to hundreds of elaborate Buddhist temples, including 14th-century Wat Phra Singh and 15th-century Wat Chedi Luang. The best time to visit Chiang Mai is from late October to April. Weather is mostly cool and pleasant with light breeze. This will also be the busiest time of year. June to October in Chiang Mai is the rainy and low season. Although it rains less in Chiang Mai than it does in southern Thailand prepare yourself with umbrellas, raincoats, and rubber shoes. Chiang Mai doesn't see many tourists during these months. Chiang Mai International Airport (code: CNX) is a large airport that handles both domestic and international travel. Bangkok to Chiang Mai is a very popular route. You shouldn't have a problem finding a flight here. The airport is only 3 km from the city and takes about 15 minutes by taxi. Chiang Mai train station is about 3 km east of the city centre. Bangkok to Chiang Mai by train takes about 14-16 hours. Night trains are available. The long ride is very beautiful with bridges, forests, villages and fields. Tickets can be bought up to 60 days in advance at any station in Thailand. Chiang Mai has two official bus stations: Arcade Bus Station and Chang Puak Bus Station. If coming by bus from Bangkok (read the full guide to Bangkok here) you can find a variety of daily buses leaving quite frequently from Bangkok's Northern Bus Terminal (Mo Chit). Are Ubers available in Chiang Mai? YES! Definitely use them. It is the best way to get around while abroad. Tourists will find B1 and B2 both great bus lines to use. Fare is 15 baht. Covered pick-up trucks that have two long bench seats in the back. See the picture to the right. Songthaew are color coordinated. Most common are red which don't follow a fixed route and behave like taxis. Negotiate for price. Don't pay more than 40 baht per person. Taxis are available in the city but you will have to call ahead to order one. Always make sure they turn on their meter!!! A common scam is to say it is broken. Read more scams to avoid in Thailand here. A popular way to see the city and a must do while in Thailand. ALWAYS negotiate and agree on a price before getting in the tuk-tuk. There is so much to see and do below is just a brief list. The most popular thing to do in Chiang Mai are the adventure tours in the surrounding jungle. Click here for a complete list of the best day trips to take from Chiang Mai. Please remember do not visit any elephant "sanctuary" that allows riding. Elephants spines are not made for riding and this is a cruel thing to do. Read my entire post on Elephant riding in Thailand here. Hotels in Chiang Mai are generally pretty inexpensive. I would recommend staying in something a bit fancier because you really do get the best bang for your buck. 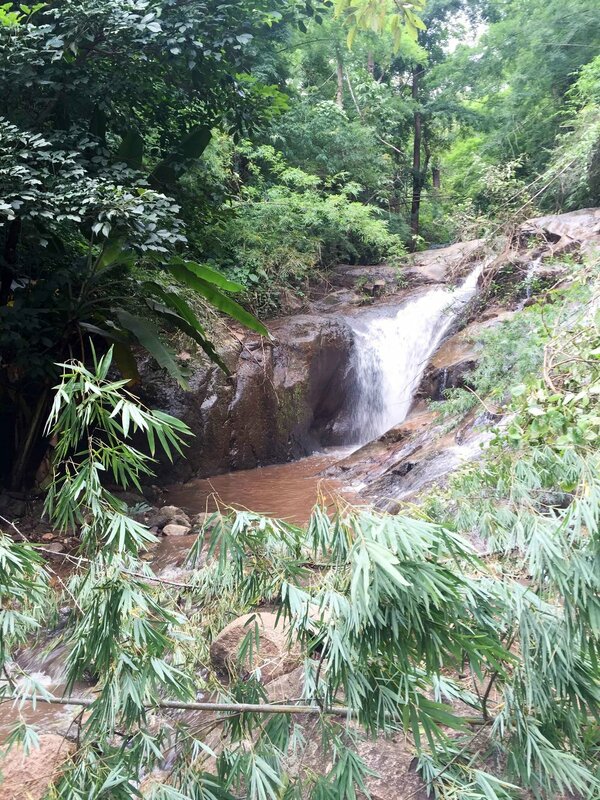 I stayed at Khum Phaya Resort and loved my experience there. Plus it was only $87 a night and pure luxury! It had a beautiful pool that came up right to the back door of our room and a gorgeous canopy bed. To see a full list of the best hotels in Chiang Mai click here. Even though researching ahead of time is great, I definitely recommend bringing a guidebook along with you. Lonely planet guides are my absolute favorite!